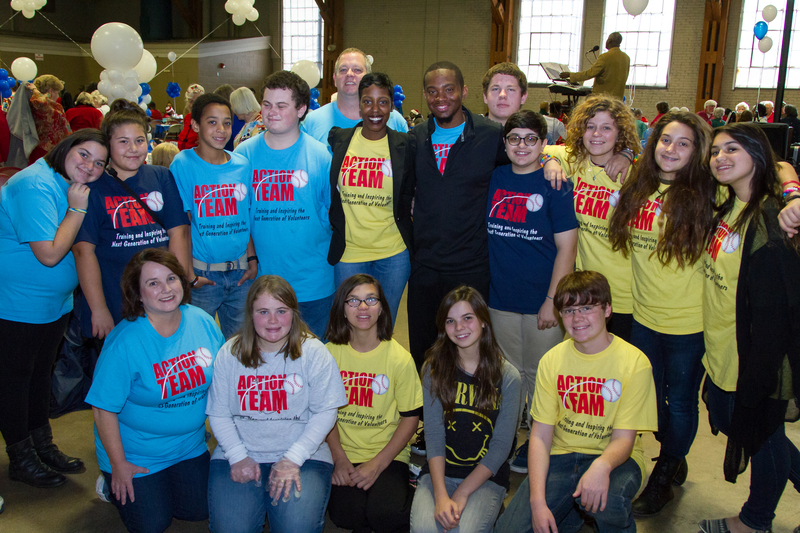 It was an evening for reminiscing, when Major Leaguer Wesley Wright was reunited with New Hope Academy Action Team Captains on the final Conference Call of the 2014 calendar year. 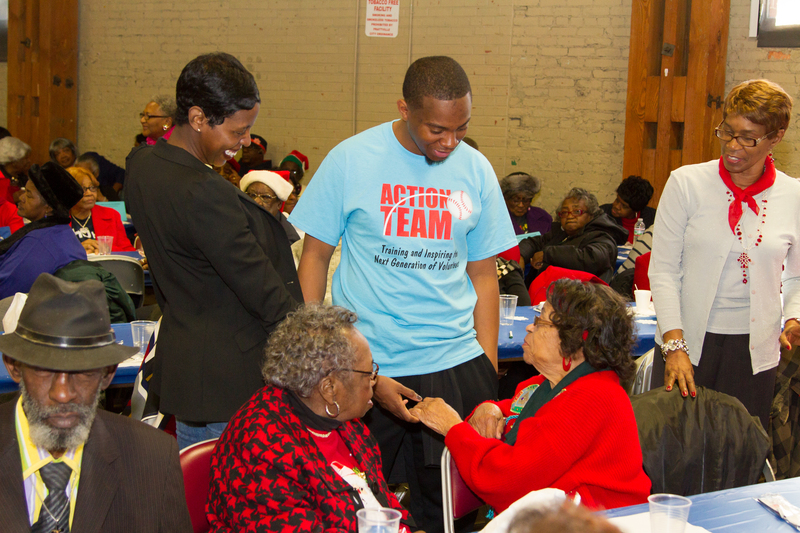 On December 12, just days before the conference call, Wesley joined teens and adults coordinators from Prattville, Alabama’s New Hope Academy, one of the newest Action Teams, during a holiday senior luncheon and dance party for residents at the nearby Gillespie Senior Center. 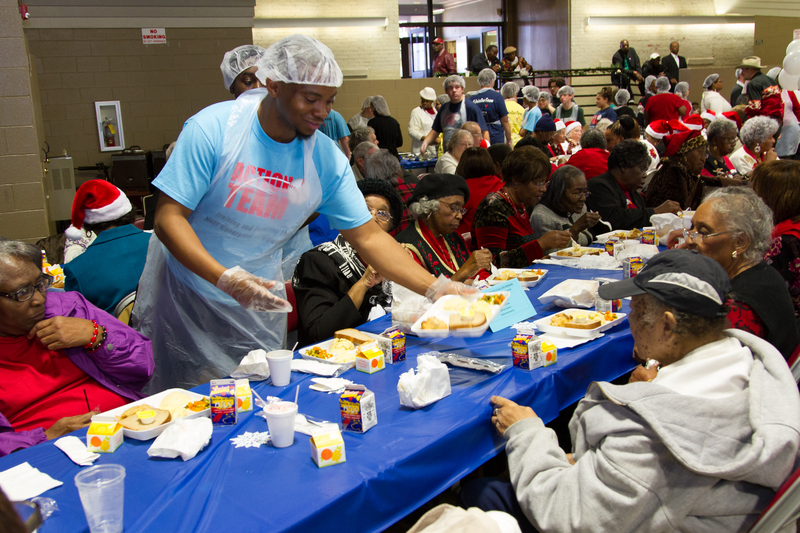 Wesley exchanged his baseball cap for a hairnet, and got right to work with serving meals alongside Action Team Captains. Together, they helped set up and decorate the dining hall, and prepare and distribute dinner to the senior citizens. It wasn’t all work and no play for Wesley and the Action Team Captains, though. 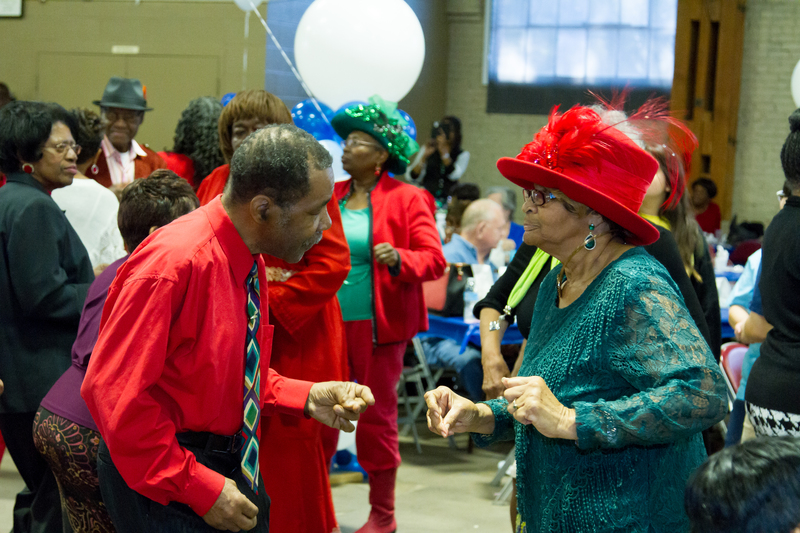 After they helped serve dinner, they hit the dance floor with the seniors and created an evening full of smiles and laughter. Giving back is something Wesley has always valued as an important aspect of his personal and professional life. There is no better time than the holiday season to give back to your community and the Action Team Captains are proof that no act too big or too small goes unnoticed and unappreciated when it comes to lending a hand. To listen to the entire December call featuring Wesley Wright click here.